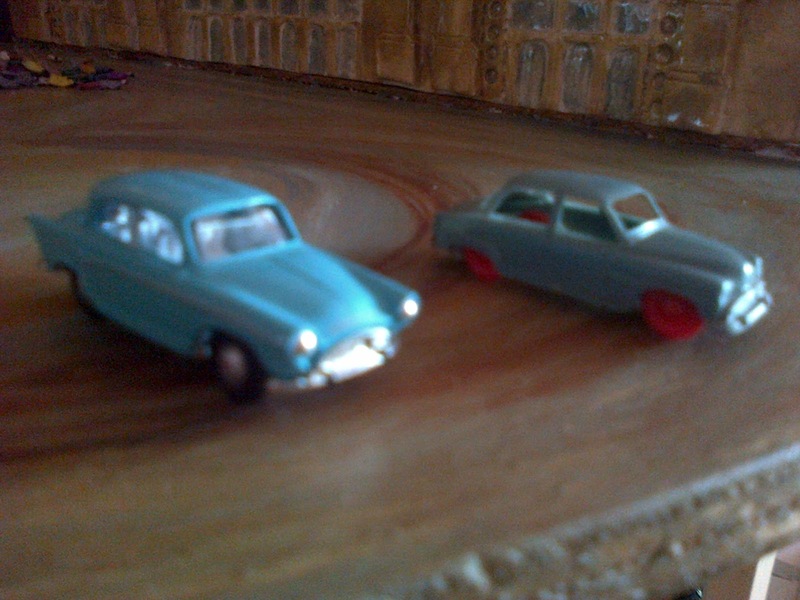 I possess two HO scale models of the Simca Aronde. One is made by the famous French toy maker, Norev, is die cast and was purchased new in France a few weeks ago. The other is by an unknown French manufacturer and is 100% plastic with no interior features or windows. 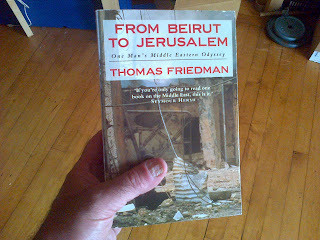 Here is an extract from Wikipedia. The Simca Aronde was a family car manufactured by the French automaker Simca from 1951 to 1963. It was Simca's first original design (earlier models were all to a greater or lesser extent based on Fiats), as well as the company's first unibody car. 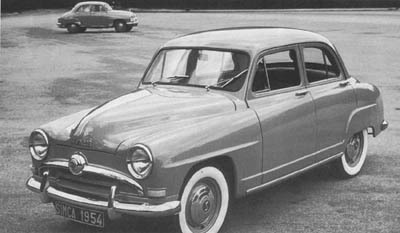 "Aronde" means "swallow" in Old French and it was chosen as the name for the model because Simca's logo at that time was a stylized swallow. 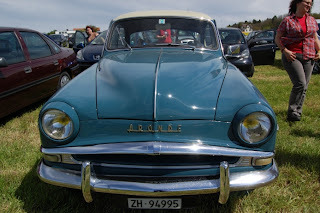 There were three generations of the model: the 9 Aronde, made from 1951 to 1955, the 90A Aronde, made from 1955 to 1958 and the P60 Aronde, which debuted in 1958 and continued until the model was dropped in 1964. 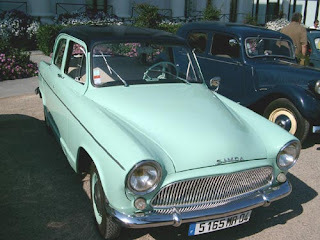 Some 1.4 million Arondes were made in total, and this model alone is largely responsible for Simca becoming the second-biggest French automaker at the end of the 1950s. 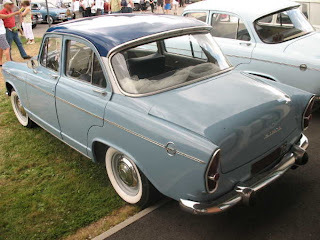 Some internet research suggests that the all plastic model (RHS in the above photo) is the Aronde 90A of 1955 vintage. And not the earlier Aronde 9 which had a different radiator grill. 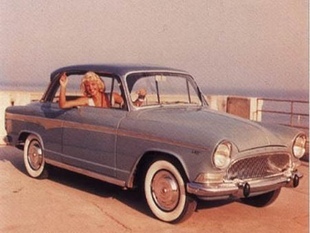 I'm more certain that the Norev model on the LHS of the photo is the much later Aronde P60 of the early 1960s. 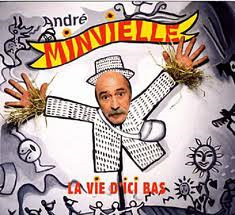 When we were in Vieux Boucau a few weeks ago we attended the local ball in the town square where, as midnight approached, the music was provided by Dede Minvielle and his groovy/funky combo. Utterly brilliant. 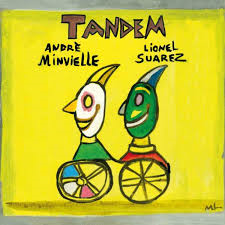 So, yesterday, I downloaded 2 of his albums from iTunes and they're every bit as good. 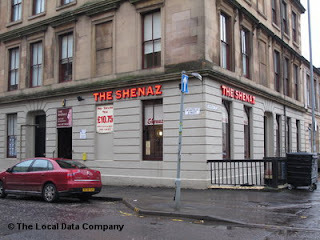 Take away chicken curry from the Shenaz restaurant in Glasgow. 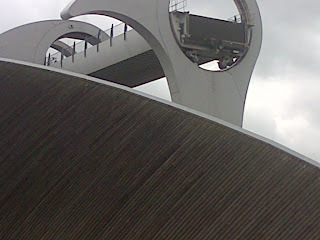 Some visitors to the city recently said that they thought the Shenaz looked dreary from the outside - I suppose it does. Still my favourite Indian restaurant.